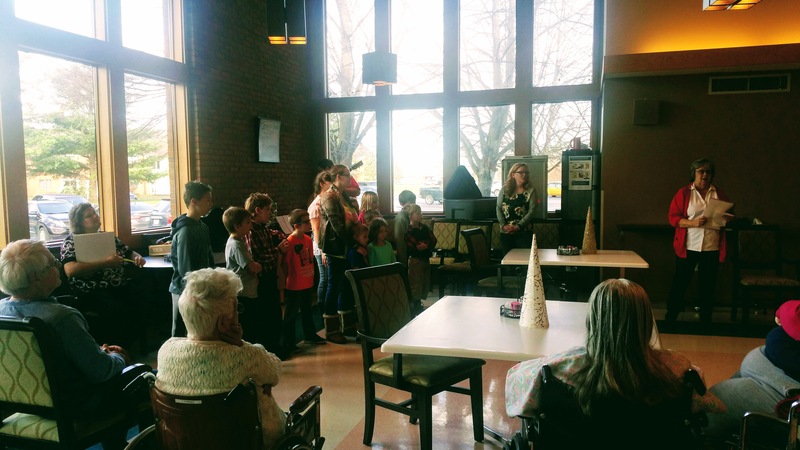 This afternoon a group of kids from our church sang Christmas carols and passed out little Christmas crafts to the residents of an extended care facility in our community. I had some delightful conversations with those attending today, but one in particular has stayed in my mind. She appeared to be one of the more senior ladies there, I would guess well into her nineties, and from her wheelchair she watched one of our little girls, Lucy, standing just a few feet away. She complimented her pretty blue dress then squeezed my hand and said wistfully, “it all goes so fast.” As I looked at her, looking at a little girl, I sensed that in that moment, in her mind, the journey from childhood to old age probably felt as though it had taken no more time than it would have taken for Lucy to step from where she stood to where we sat. I think I’ll slow my steps a little through this Advent season. I think I’ll savor the journey a little more.